As South East Europe is growing into one the most important crossroads in Europe for international trade routes, TRANSGREEN project is advocating for nature to be considered in this development process. One opportunity to take steps in this direction was the European Road Conference (ERC) and 1st Road Safety Conference (RADAR) in Dubrovnik. On the 22-24 Oct. 2018 took place the European Road Conference (ERC) and 1st Road Safety Conference (RADAR) in Dubrovnik, hallmarked by International Road Federation (IRF) as main organizer. 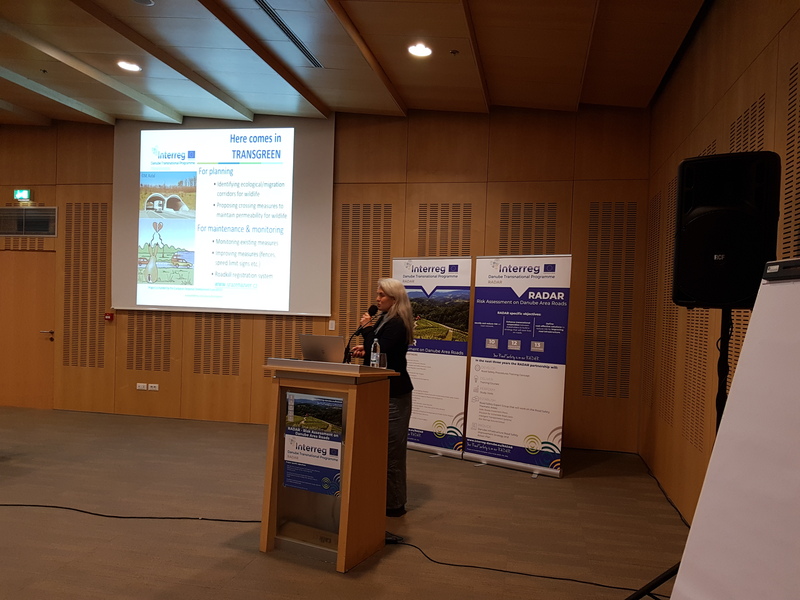 TRANSGREEN project was present at the conference in order to raise awareness on the importance of taking nature into account when planning roads. "One participant from UK thanked me for raising the topic of wildlife, which brought a different perspective on road safety. And this is what we wanted - to raise awareness on the fact that road safety does not only depend on the quality of pavement, construction materials and devices, but also on safely guarding animals to safe crossing points for both people and wildlife!" declared Mrs. Hildegard Meyer, TRANSGREEN project manager, after delivering her presentation on the project topic. During the conference session called Successful Corridor Strategies, Mr. Franc Zepic* showcased TRANSGREEN as a best practice example. He presented the project goals, map, pilot areas, and suggested that nature and wildlife are more valuable than road construction and technical solutions. He also mentioned the importance and success of international cooperation between the project partners. *Mr. Franc Zepic is the focal point for The EU Strategy for the Danube Region. Priority Area 1b: To improve mobility and intermodality of Rail, road and air links. The ERC, as a whole, gave a great opportunity to TRANSGREEN project to launch the already reached results and start and build forward on going cooperation with the sector community. As an exhibitor, sharing the booth with our sister DTP project RADAR, we had the chance to call on interested specialist to learn our point of view of the infrastructure developments environmental and social costs, benefits, the possible threats and the importance of the solutions for designing more sustainable transport structures, including adaptations of roads to climate change in the Carpathian region. The main topic this year of ERC was Corridor for shared prosperity and sustainable mobility in the Balkan region. The novelty of the event and the venue were that South East Europe is growing into one the most important crossroads in Europe for international trade routes. Due to its privileged geographical position, Croatia has been at the forefront of this process. At the time of growing motorization, the region’s network of roads and highways is currently its largest public asset. However, significant challenges remain to enhance the safety, efficiency, environmental sustainability and resilience of the road network, underscoring the value of enhanced regional cooperation. 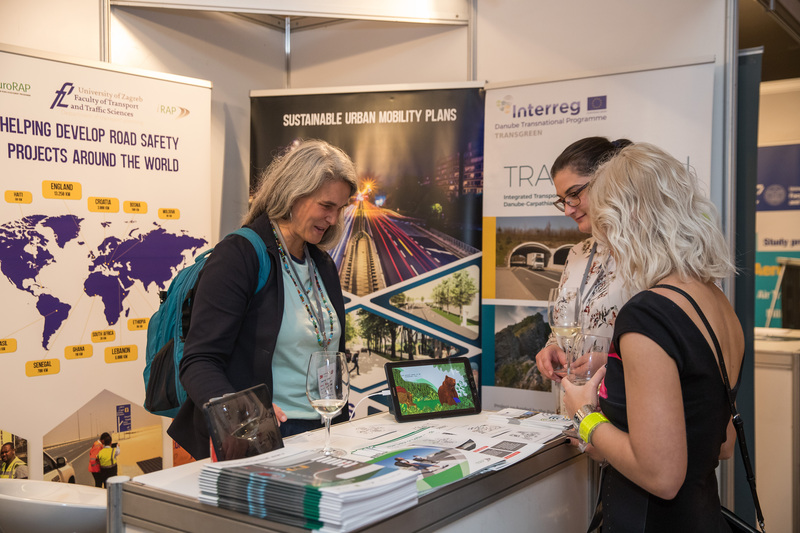 More than 500 participants visited the 3 days event, covering: presentations, workshops, lectures, roundtable meetings and an exhibition with 50 exhibitors from every sector related to traffic and road planning, constructing, engineering and researching.